It is always quite awkward for me to hear from almost every domainer that .eu is dead and that this TLD is without future. Well, maybe but maybe not. If you look at the latest Sedo‘s Domain Market Study, you will see that .eu is second most popular ccTLD on Sedo’s marketplace. The .de extensions remains the most popular ccTLD at Sedo with 49% of total sales but .eu and .co.uk account for 15% each. .eu domains are not too expensive and overpriced – that’s why end users buy them and that’s why this TLD is getting more and more popular in the Internet. 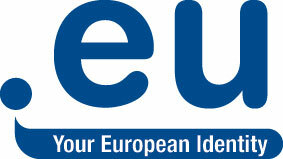 I have never been to much enthusiastic about .eu names and I was always trying to find pros and cons of this new TLD. Time goes by and I see more and more pros everyday. Liquidity is one of the advantage that many TLDs don’t have. Please be aware that I posses quite substantial amount of .eu domains in my portfolio, mainly in Polish language but also some in English and German – my favorite ones: money.eu and geld.eu. At least you know what .eu stands for. So do buyers (end users). What does .co stand for? At the moment, Columbia. Some of the cyberwarehousers and cybersquatters have dropped the domains they got in the Landrush period and some of the EU businesses who lost their .eu domains to these people are now beginning to register their .eu domains. However they are not using their .eu domains. Some will not even set them up in DNS. Others will point them to their existing ccTLD website. Sedo’s market report misses all of this activity because it only concentrates on a very small number of .eu domains. The economic situation is also forcing some businesses to look at other markets and the .eu domain is the cheap way of covering many EU markets. But there has not been a major website using .eu for its main brand since the ccTLD started. You are right John but taking into account the fact that this is very new TLD, I will give it a couple more years to develop and get more popular. From my experience I see many companies in Poland using .eu as their main domain name. Maybe that’s not the case for many countries but this is something I definitely see in Poland. There has not been a major site using .eu? I love .eu Domains, and they are positioning very good. I have a website up and running for a PR service. http://www.Notasdeprensa.eu and we are very good placed on Goolge with keywords as: envio de notas de prensa , etc. I think as Domainers we would need some good sales and .eu will shoot in the SKY. Daniel with money.eu and geld.eu you are allready a millonaire! People usually prefer their own ccTLD. U.S. ccTLD is de facto .com. It is no king, it is just the U.S. TLD. If you do not understand that, they you will not understand anything. Hi Alexander, That the name was worthless was obouvis to me. I’ve seen some horrible .DE domain names in the past and this one for a 100k that was just not gonna happen.Like i mentioned above it was just for kicks when i saw the sale was copied and published by other sites. And those few Euro’s ain’t gonna set me back Happy new year too you also !